Perdita Whacknoodle is an arrogant dog. She is convinced--really convinced--that dogs are smarter than people. 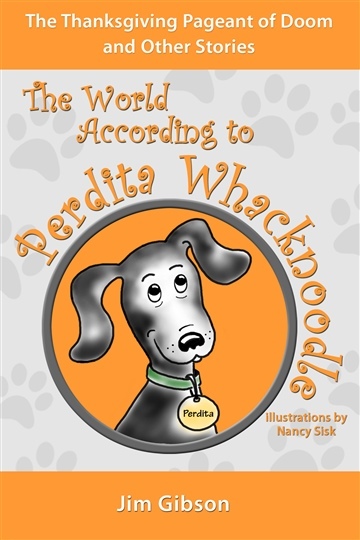 This is the first book (of five) in the popular The World According to Perdita Whacknoodle series,and this is a complete free download. Here, you'll see how Perdita thinks as you hear stories about Par Whack, Mar Noodle, Einstein Noodle, Uncle Rip van Noodle, and many more. You'll wonder: does MY dog think like Perdita? You may think Perdita is crazy, like Laura does. Or you may think she's brilliant, like Perdita herself does. But reading her book will change how you look at dogs. And . . . you'll laugh a LOT. Here are a couple of reviews from Amazon. One is probably from a child reader, and one is from an established book blogger. with and yet kept the story on a level that doesn't scream "little Kid." child, may I recommend this book to you.